During the elevated worship on Sunday morning service, I heard the sound of rushing wind moving past me. The worship music for this service was rising as the Holy Spirit lifted our voices towards heaven. 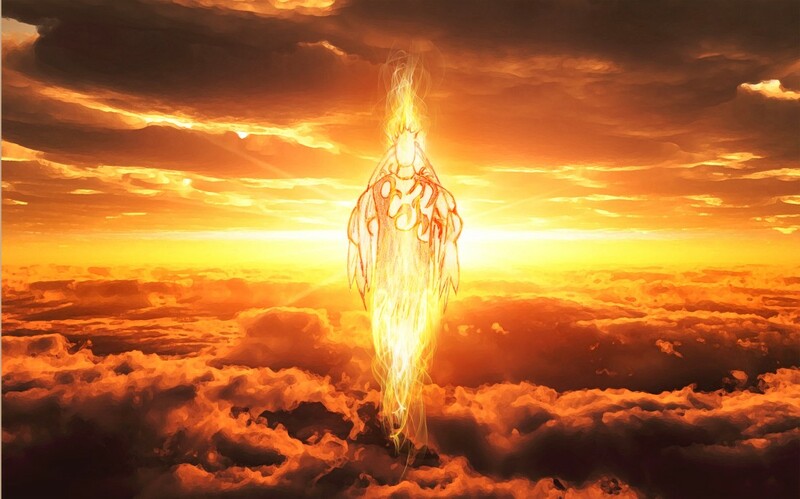 I looked up and coming down to meet us was a glorious Seraph from God’s throne of translucent light above. He was accompanied by smaller Seraphim who had the heads of eagles. There was one Seraph; however, who was the leader of the company that had the face of a man. 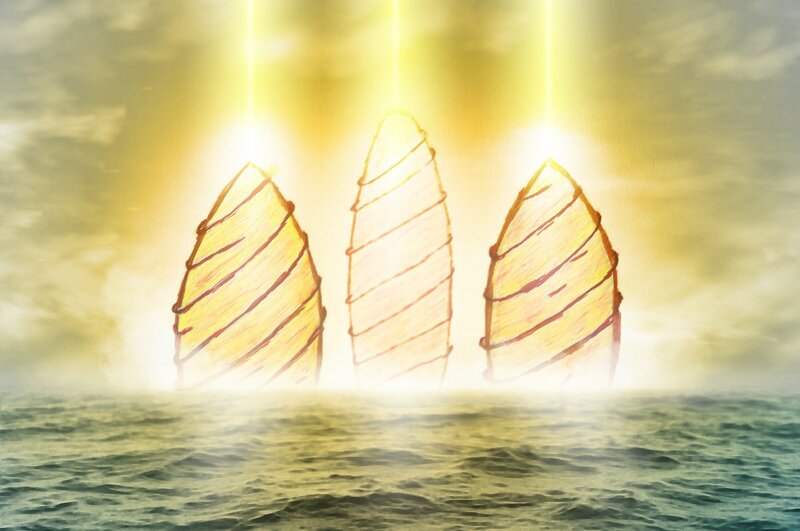 They came as pillars of fire with two wings they covered their face, two their feet, and two they flew! As they descended, these fiery angels opened their wings so I could see inside them! 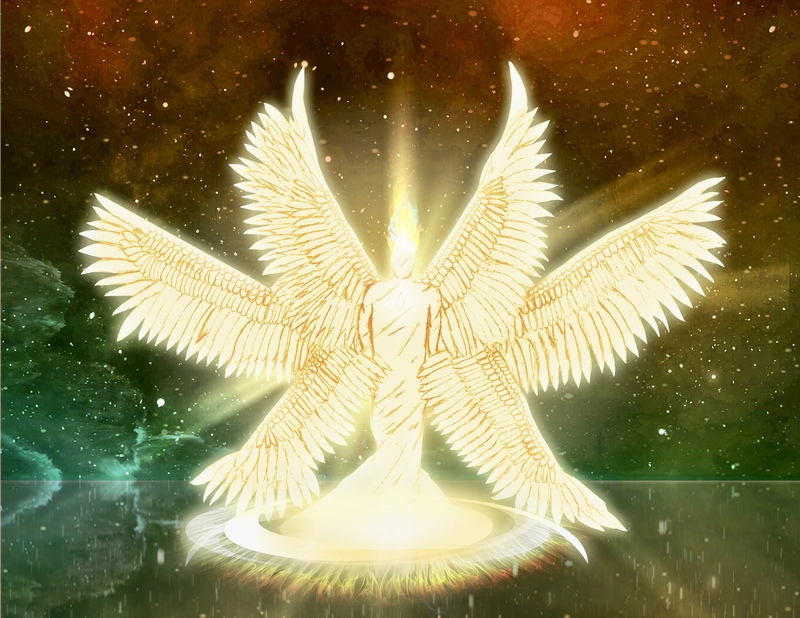 The seraph with the face of a man looked to be made by the presence of God with flames of glory! He was glowing with light and had the most beautiful large wings of blazing gold! This Seraph was given a blue mantle to show his rank among the Eagle Seraphim that were present. He hovered above the stage while heaven gleamed from behind our visitors. Coming out of his head was a wild fire that flickered with power from the very throne of God! 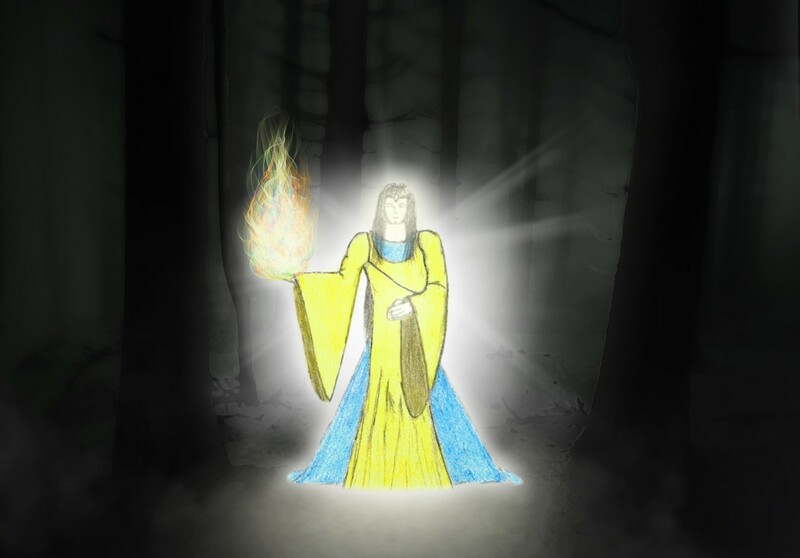 I did not see any arms only a long robe he was dressed in that too was filled with blue fire coming from his core. There was a large eye on his chest that was wide opened looking straight never moving! What a spectacular presence he carried while his face beamed with joy and confidence in the message he was about to deliver to us. 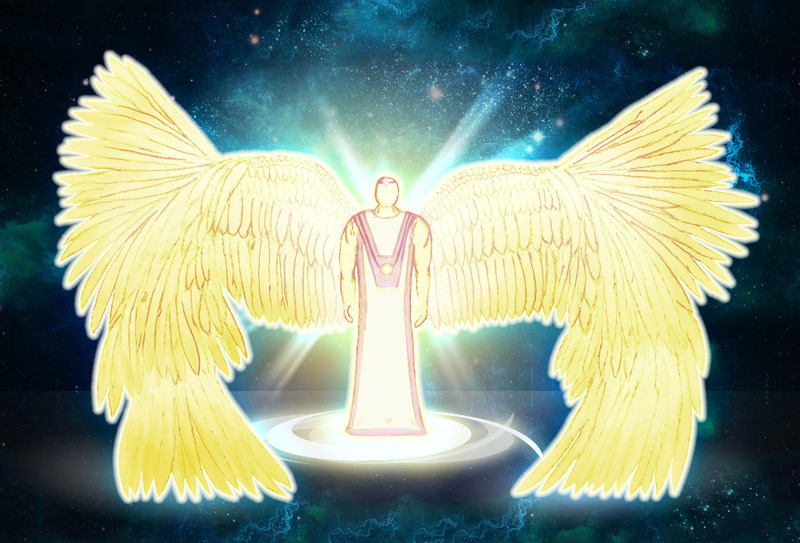 The Seraph’s wings rested behind him which dazzled in God’s glory as he looked down upon the people during the service. The smaller Seraphim who came had the head of eagles, but they carried a more calming power than their leader! They too had an eye on their chest and fire coming from them. They were much smaller in comparison, but the impact they made over the church was intense. I could see lighting flashing across the sky of heaven as they ministered with us in worship while fire danced around their feet! Suddenly I was drawn up before the throne of God to be completely engulfed in His light. His eyes of fire were on me which manifested as a blue shining, flaming jewel. 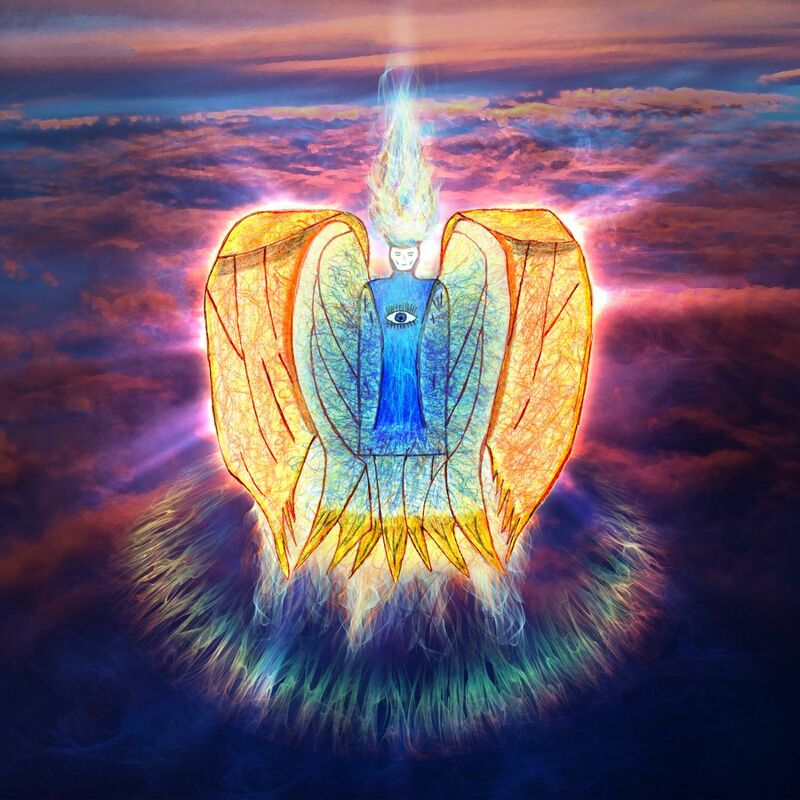 Energy was radiating from Him that created a force pushing me back, but I was able to stand because of the Seraphim behind me. Their wings also covered me as God’s love rushed through my beings. The Seraph who was like a man declared, “God has designed man to know Him deeper than we ever could. God will not change His mind, behold your God and walk in His power! Do you have eyes that see? Are your eyes filled with fire like His? God will not change His Mind, you have been called you have been chosen! Please place me on your email list just started following you. Abbas Promises Ministry. You can subscribe by hitting the subscribe button on the website! Thanks so much for wanting to join!